OK, so you’ve heard about these little bottles of amazingness, right? I’m talking about essential oils… and you think I’ve gone a little wack-a-doodle. Yep. I get it. Well, I’m here to tell you that I am a changed woman! I LOVE them, can’t get enough of them, want to share this amazing gift with the world. I know, you’re rolling your eyes now. But just hear me out. I started using EO’s in February 2014 and my family has been changed forever. I’ve shared before about how a non-recycler came to love plant oils. 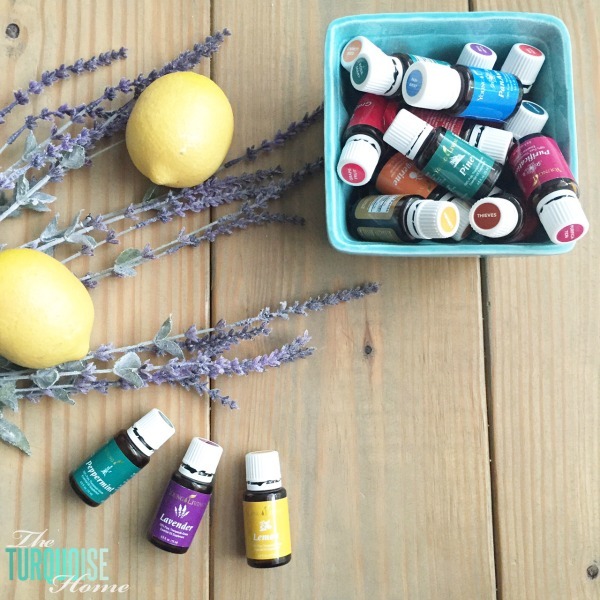 What I mean is that before now, I wasn’t very interested in natural health and wellness, but with essential oils as my gateway “drug” I’m becoming very interested in giving my family a chemical-free life and home environment. Don’t get me wrong. We’re still a long way off from being completely chemical-free. But I know that natural is better, so when I know better, I do better – a little at a time. 2. I’ve eliminated 85% of our chemical cleaners in the house with one amazing chemical-free, all-in-one cleaner. I love that my 4-year-old can help me clean without me worrying about toxic fumes! 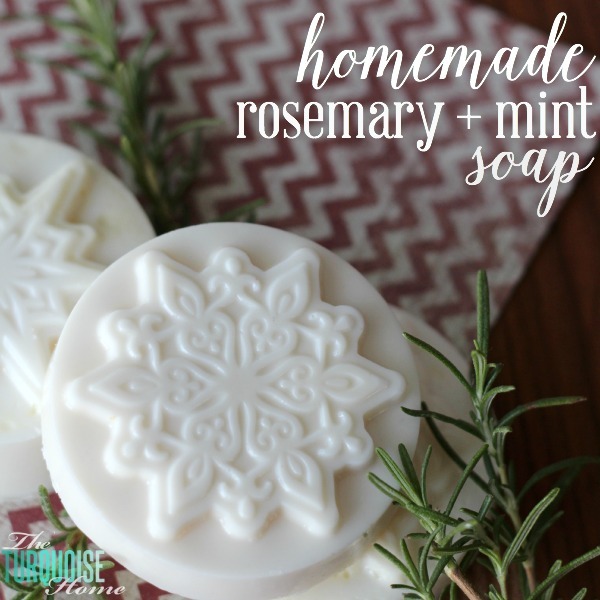 The essential oils and all-natural cleaners that I now use come from Young Living. It is an essential oil company that has been around for more than 20 years and is known for it’s high quality, therapeutic-grade essential oils. Young Living essential oils are taken directly from the plant, not copied in a lab, and are steam distilled, cold pressed or tapped from the resin to extract the oils. They contain the plant’s scent, chemical structure, compounds and constituents. You are getting the “life blood” of the plant. The essential oil, which heals the plants when wounded, does the same thing for us when we apply it to our bodies. Did you know that within 20 minutes of applying, inhaling or ingesting an essential oil, that it can be found in every cell in your body? Amazing! What is so special about Young Living?? 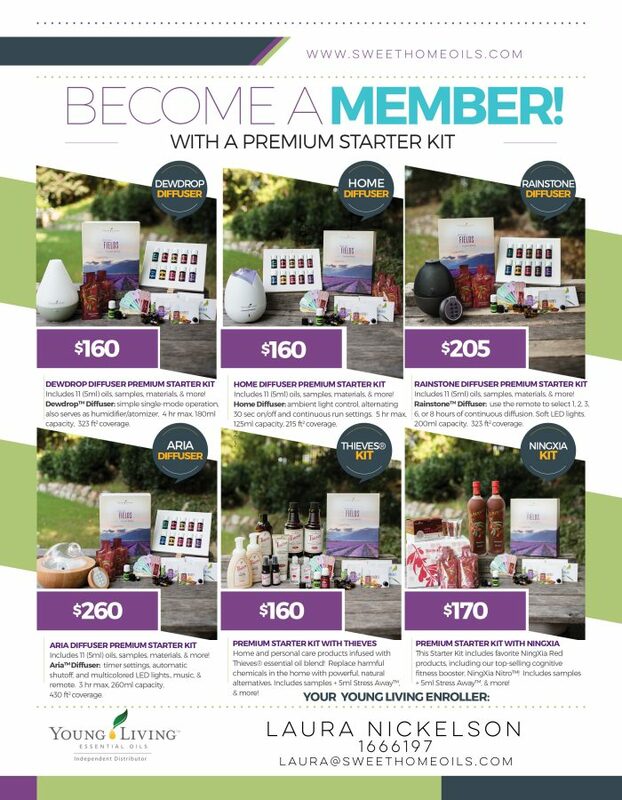 Young Living offers me a commission on every premium starter kit purchased using my member number. They are paying me to educate you on your new essential oils. So, I take that commission and give it back to you by way of my welcome kit! A welcome letter from me, plus info pages on wellness & body recipes, how to use oils with babies and children and more! Essential Oils Reference Guide. This 400+ page manual is an invaluable tool that I reference all of the time! It gives you the history of essential oils, the description and use of each single oil and oil blend, and lists most major wellness issues and how to use your oils for them. I keep mine next to my chair in the living room for easy access! Bottle labels. They’re pretty, but also helpful when organizing your oils! I keep my oils in a Caboodles nail polish case, so these help me quickly find which oils I need. Essential Oils Starter Guide. 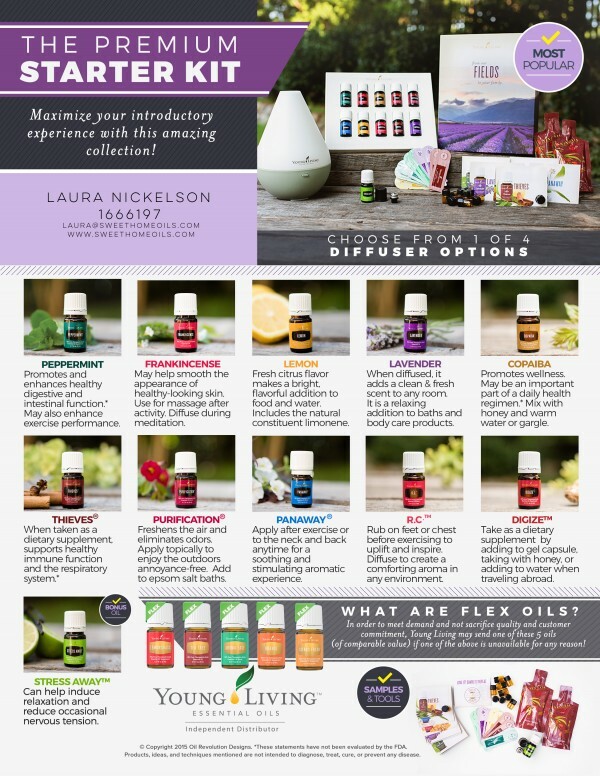 This amazing brochure will walk you through the basic of essential oils, in simple English. 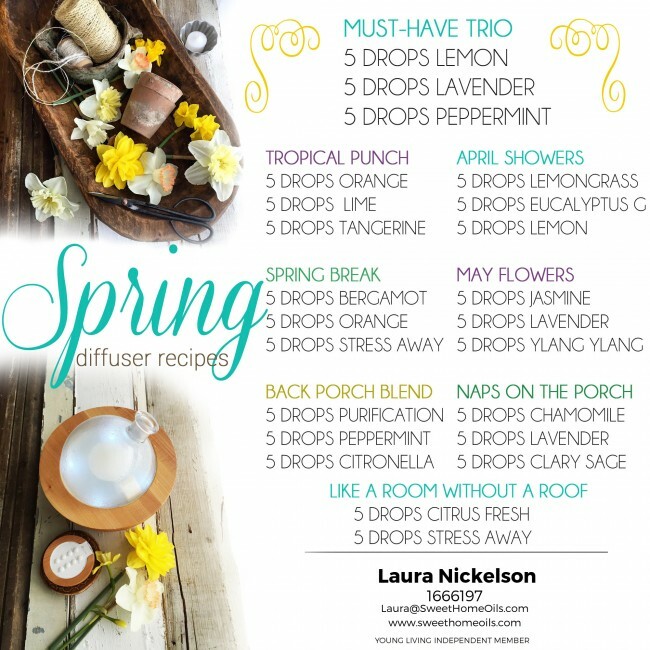 How to apply them, safety tips and info on all of the essential oils in the premium starter kit. It’s a great size for stashing in your purse. PLUS, you’ll get FREE subscription to The Oil Revolution Designs, UNLIMITED access to our information Facebook groups and FREE training videos and fliers for sharing. And of course, I’m available to help when you need it. I take my role as a Young Living distributor very seriously, so I’m here to answer questions and help to guide you and point you in the right direction as you start your oily journey. I am passionate about these oils and I know you will share that passion once you start using them! If you’re just thinking about trying essential oils, I cannot encourage you enough to just jump in and get a bottle to try. Please feel free to e-mail me (Laura@SweetHomeOils.com) and I can let you order using my wholesale discount.